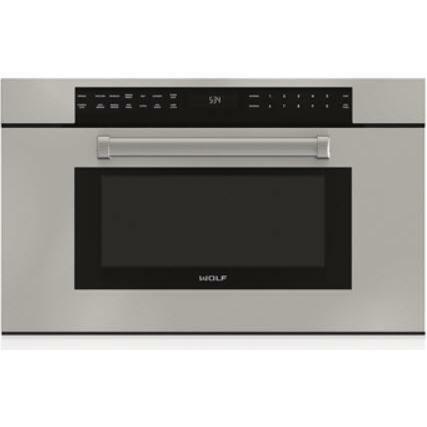 Wolf 30" M series professional drop-down door microwave oven. 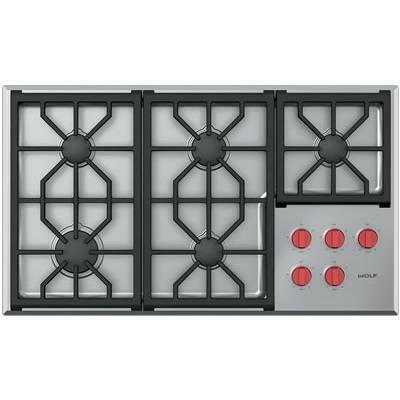 A Gourmet mode detects moisture and humidity levels, and automatically adjusts cook time and power level for delicious results from several preset recipes. 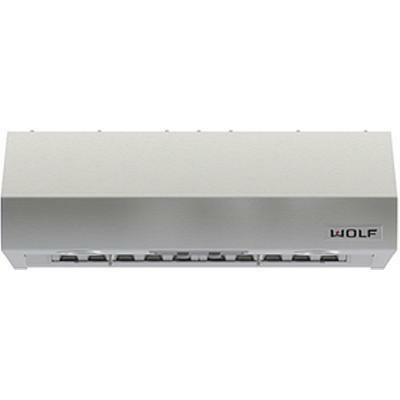 It also offers the "Keep Warm" mode that turns your Wolf microwave into a warming drawer for up to 90 minutes. 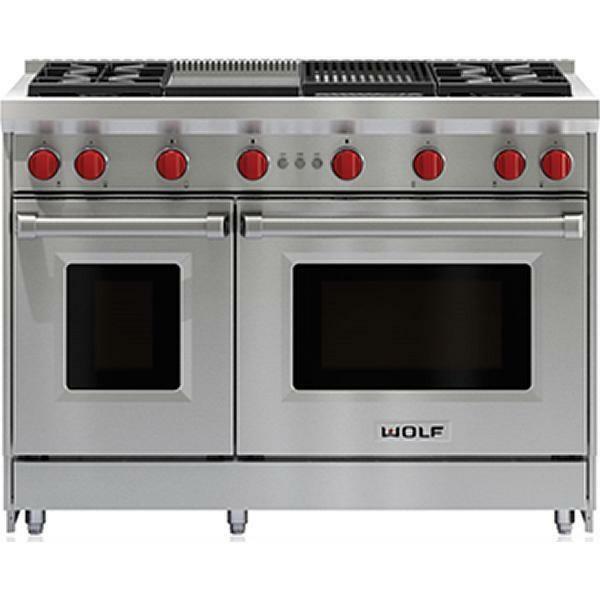 It's styled to coordinate nicely with Wolf M series wall ovens, coffee systems and convection steam ovens. The Keep Warm mode turns your microwave into a warming drawer that keeps cooked food at a ready-to-serve temperature for up to 90 minutes. Power enough to function as a speed cooking tool or even cook "real" meals with delicious results – even great at melting, softening and popping popcorn. 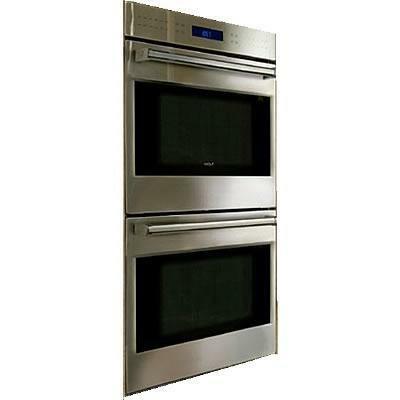 Drop down door microwaves feature a door that hinges at the bottom for easier access to foods. 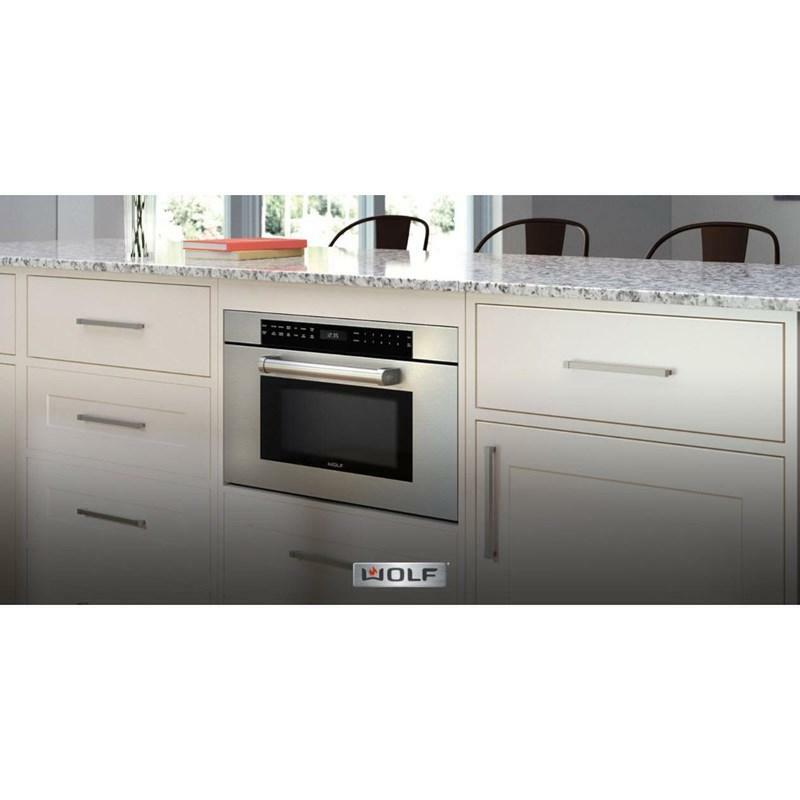 The intelligent Gourmet mode delivers deliciousness by detecting moisture and humidity levels and automatically adjusting cook time and power level for several preset recipes. Soften, melt, reheat, defrost and, of course, pop popcorn using a broad range of quick-start options. Additional Dimensions • Door-clearance: 14 3/16"